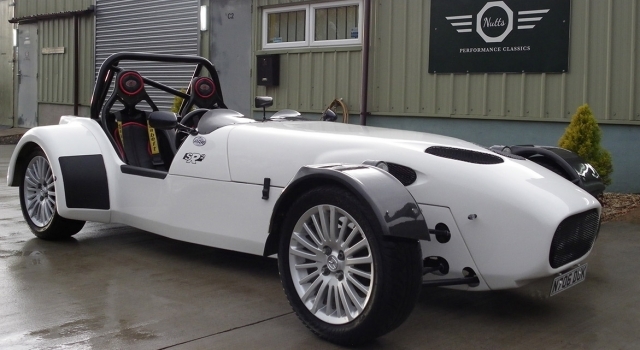 Nutts Performance Classics have the pleasure in offering this very rare RoadRunnerRacing SR2 kit car, It is only 1 of 25 currently on the road. 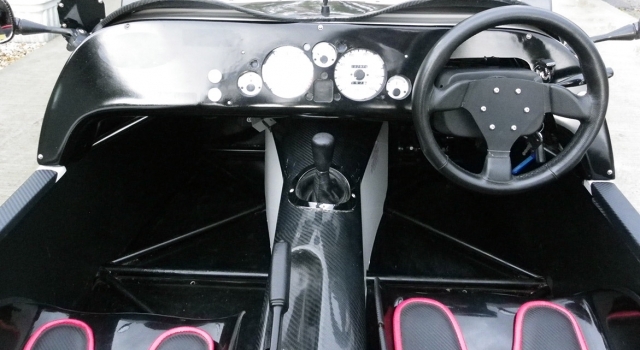 The SR2 kit car is aimed at the Lotus Seven market and is intended for the client who wants something special but at an affordable price. 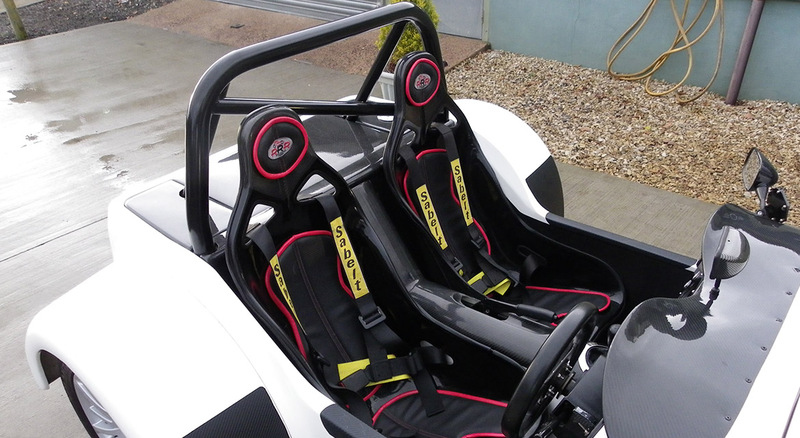 This hand-built sports car is available either as a kit for the self build enthusiast or as factory finished vehicle for road or track. The SR2 chassis has been developed using the latest computer aided design (CAD) technology to ensure precision engineered build quality and perfect performance. 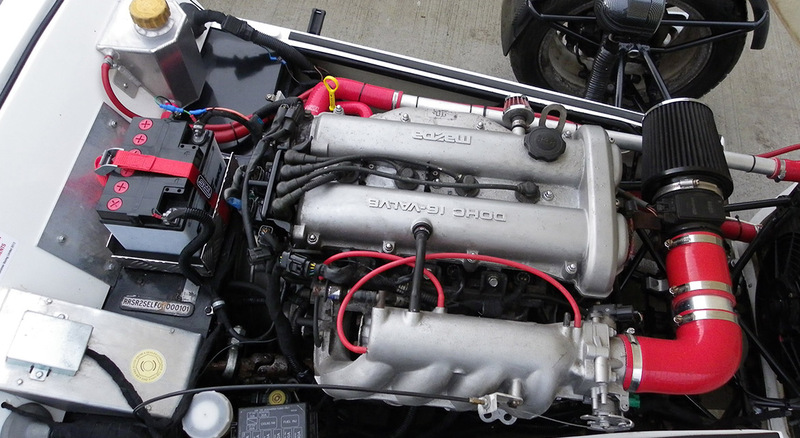 The round tube triangulated design of the chassis ensures rigidity and lightness when this is combined with Mazda MX5 running gear the result is a car with a kerb weight of just 560 kilograms boasting a very impressive power to weight ratio. 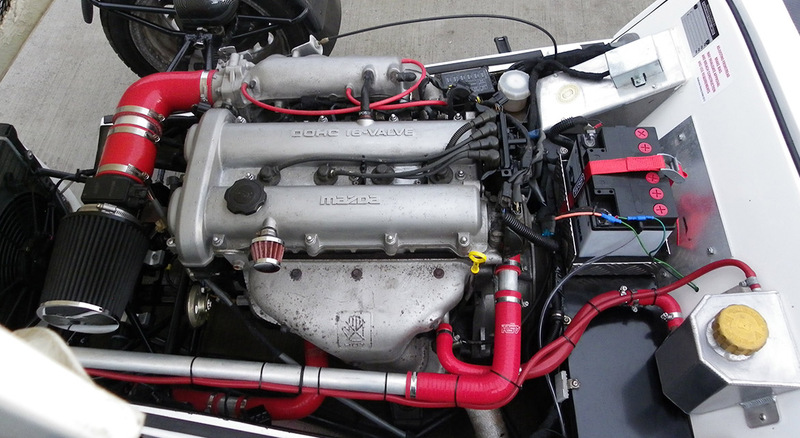 This particular car was hand built by the last owner utilising a 1996 MK1 Mazda MX-5 1.8 (130ps) running gear and the basic SR 2 road kit package (currently £6000 to buy) and was first registered in June 2014. To date it has only covered 1800 miles. The car is known to Mike at RRR and he informed me they had the car in prior to its first registration to add the finishing touches and complete the new suspension set up. 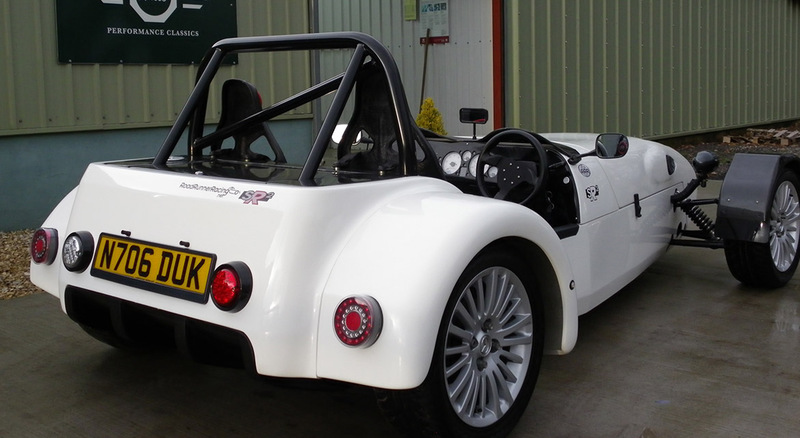 RRR is a small Yorkshire based kit car company that produces very small numbers of these kits each year, the quality of which is excellent and all parts are still available. I personally phoned Mike of RRR to ask about the car and found him very helpful indeed. The driving experience of this car is intoxicating but not at all overwhelming, I instantly felt at home in the car. The performance and handling are excellent. The ride is just right for the road and not bone shaking hard thanks to the excellent Pro-Tech adjustable coilover suspension. Altogether this is a fantastic fun road and/or track day car that will not break the bank with maintenance and running costs. If you add up the price of the basic kit, donor car and the build hours you would never complete a build under the advertised price. Included with the sale is all the necessary paperwork from the DVLA registration process along with the certificate from RRR. The current MOT runs until 31st MAY 2018. Any trial or inspection is welcome, if you have any further enquiries please feel free to get in touch via phone or e-mail.